You’ve got that right…It’s time for another Economical Excursionist Giveaway!!!!! After my Polish Pottery Shopping in Boleslawiec post went viral among the military communities in Europe (seriously guys, you’ll want to Pin that one for later! ), there was only one thing to do; repay my readers with an amazing opportunity and giveaway. As you’ve read in the original post, Polish Pottery Shopping in Boleslawiec; the ins outs and everything in between, I recommended the Hotel Garden when staying overnight in Boleslawiec. You see, I have no affiliation with this hotel, don’t get a kickback for referrals and have never gotten a discount while staying there. I just love passing along great information to my readers because, hey, you deserve an unbiased opinion! A few months ago, Hotel Garden reached out to me to thank me for such a kind recommendation in my blog to their hotel. They would like to thank me by giving me a free night’s stay plus a free breakfast in their delicious restaurant hotel. 1) My husband would probably kill me if I made a FOURTH trip back to Poland and brought back even more pottery! 2) At 5 months pregnant and a calendar already full until Lil B arrives, I didn’t know when I could squeeze in a Polish Pottery run. 3) The blog post was only successful because of my amazing readers! I pass it along to YOU, the people who made the article go viral to begin with! So, grab a friend and plan a girls weekend and get ready for a trip of fun, beautiful patterns and delicious food! Are these seriously not the cutest hotel rooms!? 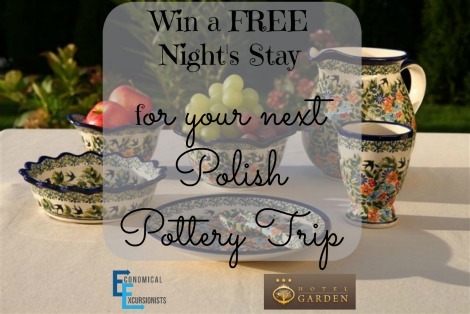 Simply participate in the Giveaway and be on your way to Poland for a free stay at Hotel Garden!!! Note: Each Step is an entry (some are worth more entry points than others). You can do as many steps as you want…but the more you complete, the more entries you receive! Have you liked us on Facebook yet? 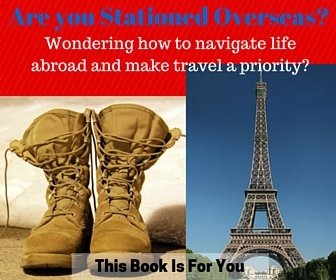 Get your daily dose of travel tips, tricks and motivation to see and experience this world! Want to increase your chances of getting a free hotel night in Poland? Share this giveaway on your Facebook with a friend and create a pact that you will take each other with if one of you wins! Oh, nice! Every time I’ve gone, I’ve LOVED the little mini tea sets! But, I’ve always said, “Who would I be getting this for! ?” Now that I have a little one on the way, maybe I need to reconsider! I have not been able to go to the pottery stores, or Poland yet. I’m sure I’d splurge and buy a whole set of serving/hosting pottery! OMG I have also been and just loooved my pottery! I didn’t get to buy very much for me because I was buying Christmas gifts. If I would have known it was going to be more beautiful in person, I would have bought more for me for special occasions! I keep telling my boyfriend we should go back!! What an awesome giveaway Economical Excursionist! I need some odd and end pieces to complete my pottery collection. Thank you! And hey, we can NEVER have enough odds and ends to our Polish Pottery, right!? I collect spoon rests and would definitely also buy a tea set. What a beautiful collection! Do you just get Polish Pottery ones or spoon rests from all over? How fun! I need a trip to Poland for pottery! I can’t wait to head back to Poland. Hotel Garden looks so charming! I want to get a pizza pan and a pitcher. Oh, and a few tea sets for my nieces. It is seriously the cutest hotel I’ve ever seen (and I’ve seen a lot!) A pizza pan would be adorable! I love my pitcher…even though I never use it, it’s just so darn cute as even a display item! They make a polish pottery pizza pan?! I have not seen those. I really want to get a tea pot and some baking dishes. That was my thought!! However, almost all the pottery can be put in the oven, so even if not a specific pan, I don’t see why you couldn’t bake it on a larger plate? How cute would that be for parties!? Thank you for all the wonderful tips in planning a polish pottery trip. Would love to win the hotel stay. Glad that it will be helpful for an upcoming trip! Good luck with the giveaway! I would buy a loaf pan and tons of beautiful coffee mugs! Thank you for the giveaway! I haven’t been so I am not sure what I would buy. A tea set, some plates, a butter dish and some beautiful serving ware are all on my list of things I would like. You absolutely have to go while here! It can be quite overwhelming! Start looking at patterns now, asking around for friends’ advice etc so that you can go in with a game plan! Thank you! My mother-in-law and I went last weekend and had a wonderful time, but like you said, were a bit overwhelmed. I would love to return to complete our shopping before a summer move! I am obsessed with Christmas decor and sadly, my only purchases of Polish pottery Christmas designs have been at bazaars. I’ve been trying to convince a friend of mine here in Italy to make a road trip..will be showing her your blog! I just bought my very first piece of Polish pottery (a super cute honey pot) at the bazaar. I would LOVE to go to Poland and buy many more things. I’ve had my eye on a spoon rest and some new coffee mugs. I LOOOVE my coffee mugs! Why does coffee somehow taste even better in my polish pottery mugs?? I need to get my collection started!!! Awesome!! I’ve been planning a trip back to Bolseweic! Thanks for the chance to win! Sounds awesome!!! 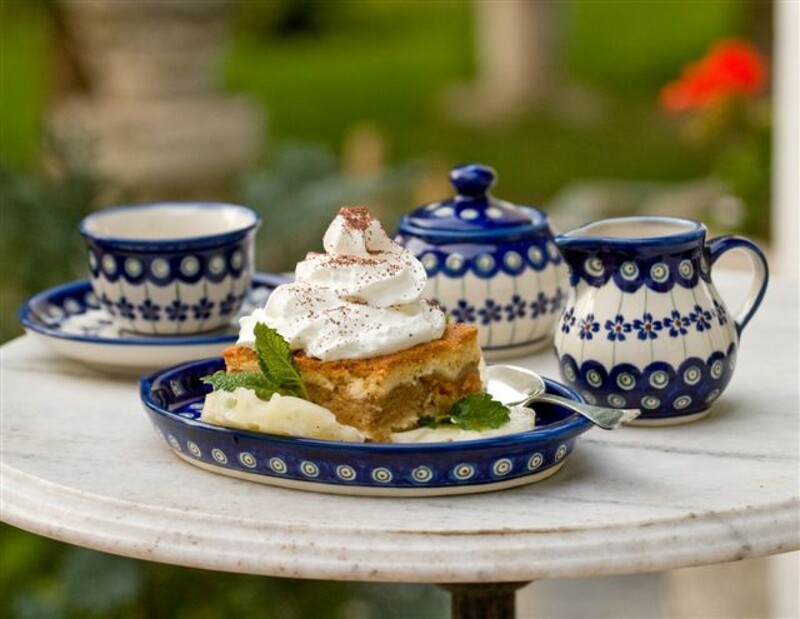 I love Polish pottery…..AND Polish food! I adore Poland, I have never gotten pottery though….I know it’s a crime. I want tea set and some serve ware. I can’t wait to get me some. I’ve been making room for some new things. I am excited to get some. I’ve never been to Boleslawiec before. When we went it was to Wroclaw, and it was nice. I love your blog and am happy to have found it. So glad I can provide value for your travels! Don’t forget to Pin anything for future ideas and good luck on the giveaway! That is such a neat idea to give to others so that they can share in the fun of pottery shopping! I would love to buy some festive pumpkins to decorate my house with for the remainder of this fall! I LOVE getting seasonal polish pottery items to decorate with! Some of my favorites is the classic polish pottery design in a pumpkin for fall, a beautiful watercolored Christmas tree and a floral Easter egg! So much fun to put around the house during different holidays and seasons! I love my Polish Pottery and need so many more pieces to add!! I would like to add a couple deviled egg platters, more large serving platters and casserole dishes. I also wanted to get some of the amazing baskets they have there. ❤❤ I would love to be able to stock up for Christmas gifts! This is an awesome contest that you are doing! I love researching blogs for travel info. You always find the best information on little known and helpful info. Thanks for all the tips! Ah, thanks Jen! I love knowing that I’m helping others and that my travel addiction is actually beneficial! What a great opportunity, and thank you for your generosity! I would love to take this trip. My girlfriends and I have been wanting to plan one of these trips. We were just talking about it the other day! I have never been to Poland, and it’s on my must-do-while-stationed-OCONUS list. No problem! I love passing along amazing deals and treats to my loyal readers! It is really the perfect girls weekend! Good food, good fun, good company and of course, ADORABLE souvenirs that you can actually USE! Never been to Poland and own ZERO polish pottery. I hope I win!!! I only have a few pieces and now I need more! You can never have too much Polish Pottery! Muahaha! I went last April and fell in love with all the pottery I bought. Now I have to go back to buy as gifts for my family…I can not part with a single thing I bought. I entered! We are actually considering going next weekend! Ha! I have never been there, but I am so excited to go! Liked, shared and commented! Anything else I can do? Awesome!! Be sure you’ve entered in the Rafflecopter (in the article) to say that you have commented, that is what tracks all the entries There are plenty of other ways to put in more entries w/ that, as well, so enter as many times as you can for more chances! Good luck! Love Polish Pottery…can’t get enough of it!!! I love polish pottery! Would love to go back one more time. I would buy soup bowls and a ladle. Thank you for such a wonderful opportunity!! I haven’t been to Poland or a Polish pottery shopping excursion. I totally need a trip to Poland! I must visit before I leave, but so many patterns haven’t settled on one. I went the combo-pattern route. Aka, I didn’t go w/ just ONE pattern. This gave me the flexibility of different stores, designs etc. Plus, I like the look of it all being clearly polish pottery, yet their own beautiful and unique designs for each piece! I want a batter bowl, rolling pin, cake stand, and small bowls for snacks, dips, condiments. I can’t leave Poland without getting what’s on my list! I, too, would LOVE a cake stand! I have several small bowls that I use for my daily use, which double GREAT for hosting and putting out for snacks/dips/condiments! I just love how versatile all the pieces are! Since I don’t own any Polish Pottery yet, I think I’d enjoy picking out my first tea set with a sugar and creamer dish, some coordinating spoons and a tea bag holder. I would love to go back to Poland so I can pick up some pottery for my son’s wedding gift! The lasagna baker dish is awesome. Best wedding present ever. Thanks for a chance to win. I have a mug I purchased from a Baazaar and now I’m hooked! I want to replace everything in my kitchen with polish pottery now! Lol. I have only been to Poland once and I look forward to going back. I’m gonna look for a nice tea pot to match my kitchen decor. My wife absolutely loves polish pottery and wants to get a full set before we leave Europe next year. Would be perfect to go to Boleslawiec! After almost two years in Bavaria, I still haven’t been Polish pottery shopping. Maybe if I won the hotel stay, it would be incentive my husband needs (he’s not a huge fan of Polish pottery) to make the trip with me. Haha! Well, I LOVE my readers. I LOVE to travel. And I LOVE to pass along good info, tips and goodies!!! Thanks so much for reading! One can never have enough Polish Pottery!! This is such an awesome way to reward your readers! We just moved to Europe and haven’t been to Poland yet so this would be perfect!! Thank you! I would love to add more pieces to my collection, but I would really love to visit the factories too! How kind of you to pass it on! I’d love to be able to do a girls’ weekend away! Thank you! I tried writing in the bar, but it just wouldn’t let me comment there. I would buy a dinner set completed with casserole dish, bowls, EVERYTHING for our holiday dinners (Christmas or Thanksgiving)! Man, I don’t even know how I would choose a Polish pottery pattern! They’re all so beautiful! i’ve been in germany for 2 years now and i still have not gone pottery shopping! I told my husband its a must, and its probably going to start an obsession. i can’t wait to mix and match! Love the big coffee mugs with the attached spoon!